BLT sandwiches are not really in the cards when you’re trying to eat mostly gluten free. However, the Olson family was clueless (or shall I say, not yet enlightened) 15 years ago about the health issues related to processed grains, and BLTs–Wonderbread and pre-cooked bacon included–were just another favorite summertime dinner. Maybe other times of the year, too, but all the cool lettuce and tomato, topped with salty, warm bacon and sandwiched between two slices of perfectly toasted bread somehow especially brings me back to warmer weather. Must be the tomatoes. Converting favorite comfort foods of the past to slightly healthier versions is one of my favorite activities, so that’s what I set out to do with this recipe. 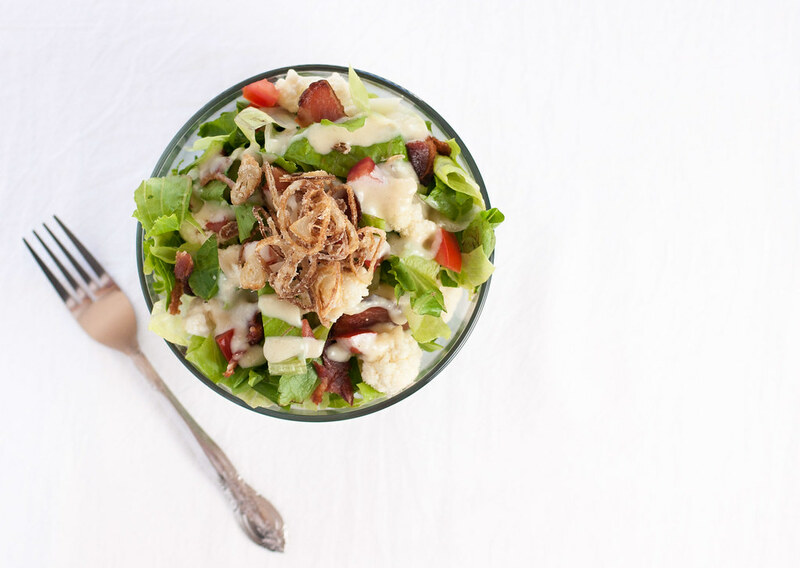 Another popular summer dish growing up was the Maybeberry’s Salad below, from one of the church cookbooks (you know, those spiral bound ones loaded with 37 different versions of tuna hot dish?). It has bacon, mayo, and lettuce, so that may be why it popped into my head when I was trying to turn a BLT into a salad. The only problem is that it also has a hefty scoop of white sugar in the dressing, which I’m not a huge fan of. But maple with bacon? That’s always a winning combination, so I found my sugar substitute. 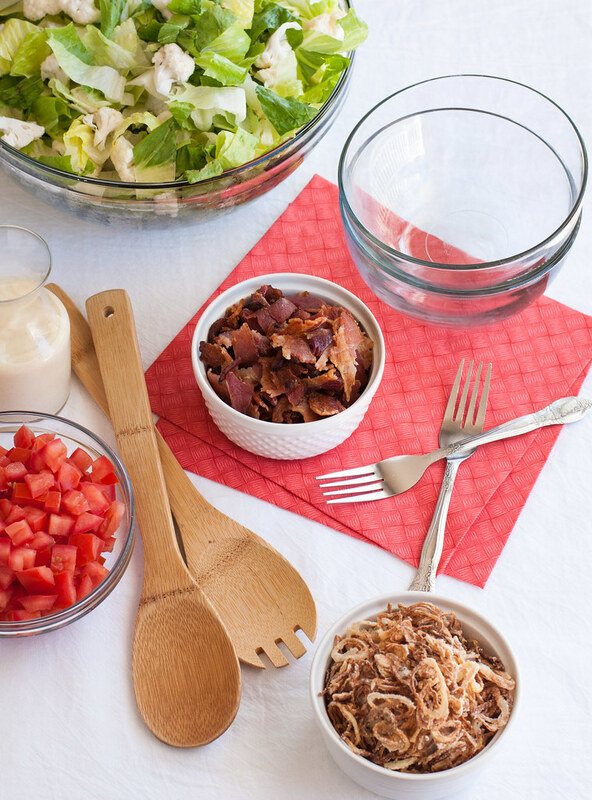 You know a million people have done a BLT salad, though, so what did I want to do with mine to make it special and extra fun to eat? That’s where the crispy shallot “croutons” come in! They give you that crunchy slice of red onion from the BLT sandwich and the usually bread-based, addictive salad-topping cubes. I know you might be worried, but they are seriously only a tiny bit of extra work and don’t deplete two gallons of expensive oil in the process of frying. In fact, if you haven’t fried anything at home before, I’d recommend this as the perfect start–no splattering, no thermometer needed, same delicious, “breaded” end result of baby onion ring-like things. Oh, and you won’t spend a half hour heating up the oil (and your kitchen). 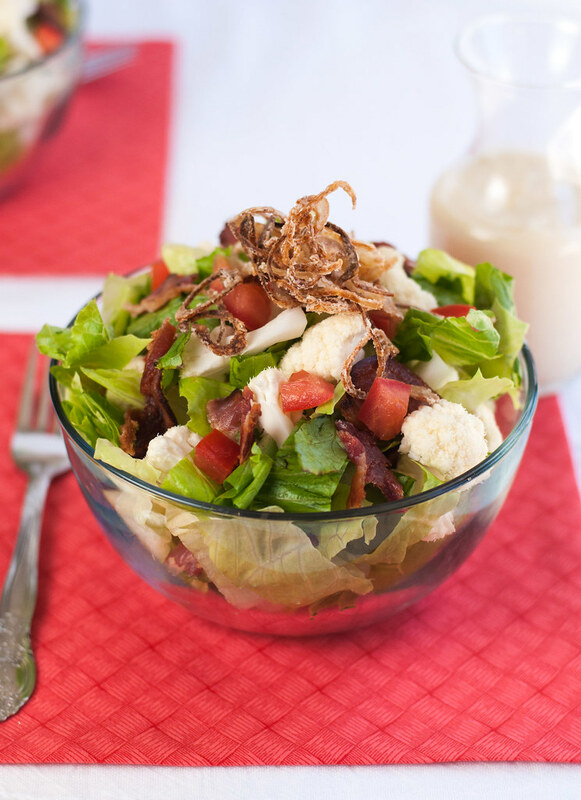 Besides being gluten free, I love the cauliflower as a base for this salad–it’s super fibrous and filling, so it’s really an entree salad. Talk about an easy, tasty dinner. Dare I say, kid friendly? I’ll say it, but let me know if you prove it, like, with actual children (mine happens to be 34 years old, so I don’t think he qualifies). Just don’t be shy when you chop the cauliflower–really, the smaller the pieces, the better. It just makes them easier to scoop, chew, and probably even digest. I wanted to save this ’til the end of the post, so that if you’re in a chilly northern climate you don’t immediately resent me and stop reading, but this is the last post I’ll write poolside in sunny Dallas. Don’t hate me that much, though, because while I thought writing poolside would be all relaxing, I actually have sweat going in places you don’t want to know about, and even in the shade, it’s too sunny to edit photos outside. It was a good thought. I’ve done my best to explore this corner of the sprawling city with limited mobility–i.e., no car. For Steve’s birthday last night, we decided to change it up from a TexMex marathon and head to FT33, a farm to table-ish establishment that’s been getting some rave press. And I ate my first PIGEON. What. It was so adventurous sounding I couldn’t not try it. Also, I was a little bummed that I wouldn’t be planning birthday activities on my familiar home turf, but doing birthdays away from home is actually really relaxing, if you’re a productive, type-A individual. It forced us to just relax, enjoy each other’s company, and not run off to our to-do lists because it fell on a weeknight, when we’re so often in go-go-go mode. Highly recommend. Last but not least, in case you missed it, I just posted recipes for my absolute favorite homemade enchiladas and some warming, spicy chocolate truffles to help you pretend you’re in Tex-Mex country, even if you live elsewhere! And hey, even if you’re a Texan, I hope you find both recipes worthy (although definitely not up to snuff on the standard spice level around these parts–yeesh!). Make the dressing: Combine mayonnaise, maple syrup, parmesan, vinegar and ½ t white pepper and mix thoroughly in food processor or by hand. Refrigerate until needed. Dressing can be made a couple days in advance. It may separate slightly--just shake or stir. 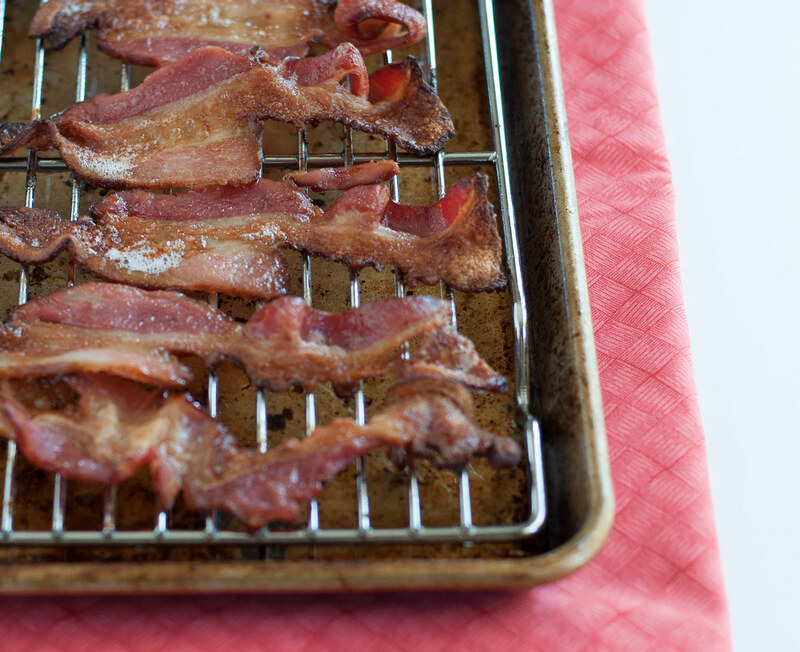 Lay bacon on a foil lined baking sheet in a single layer, over a wire rack if you have one that fits the pan. Place in preheated oven and cook until deepened in color and crispy. Begin checking at 12 minutes for thinner bacon, 15 minutes for thick-cut bacon. If some pieces finish while others are still soft, remove slices in batches, but be careful not to spill grease when moving the tray in and out of the oven. 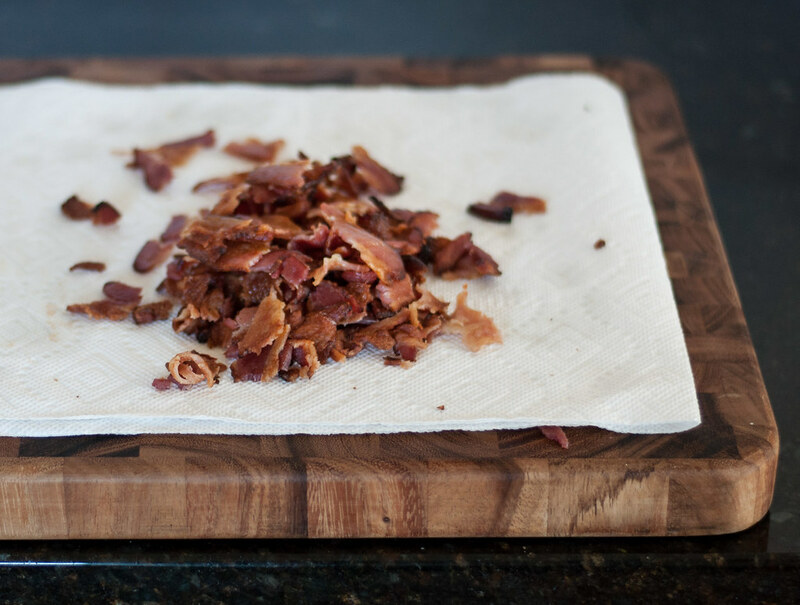 When done, use tongs to transfer to paper towels to cool, then crumble or chop into pieces that are small, but still big enough that they retain the texture and taste of bacon. Make the crispy shallot topping. Heat oil in a small saucepan (1/2 to 1" depth of oil) over medium heat until very hot (turn up heat if needed). A water droplet hitting the surface should pop and sizzle if the oil is hot enough. Mix cornstarch with ½ t salt and ¼ t pepper. Just before frying, sprinkle the shallots with cornstarch mixture and toss to coat. Shake to remove excess. Add to pan in a few batches, stirring occasionally as they fry. Remove from oil when golden brown (about 1 ½ to 2 minutes) to drain on paper towel, and repeat with remaining shallots. 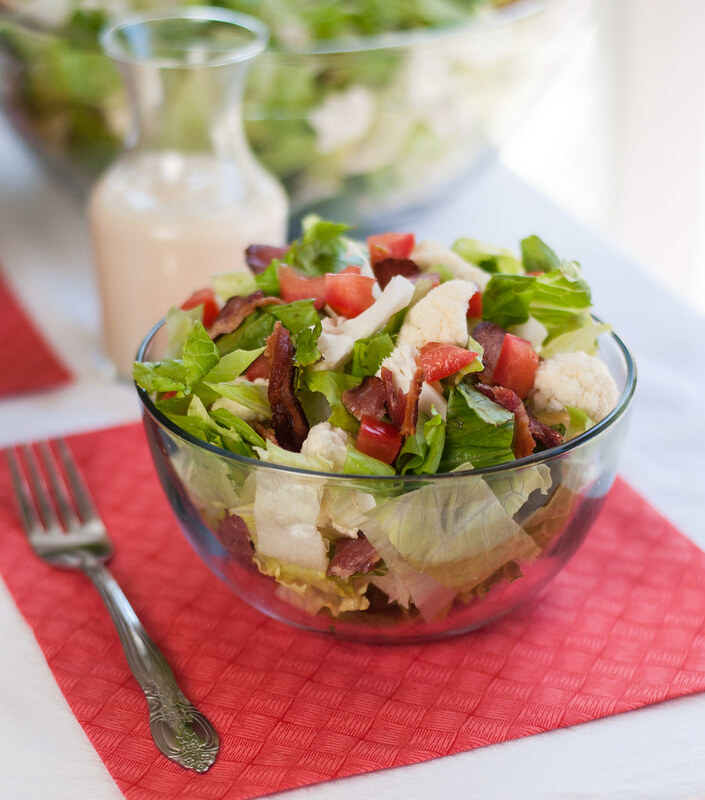 Put the romaine, cauliflower, and bacon in a large bowl, drizzle with almost all the dressing, and toss to combine, adding more dressing to your liking (alternately, serve the salad undressed in individual bowls with dressing on the side). 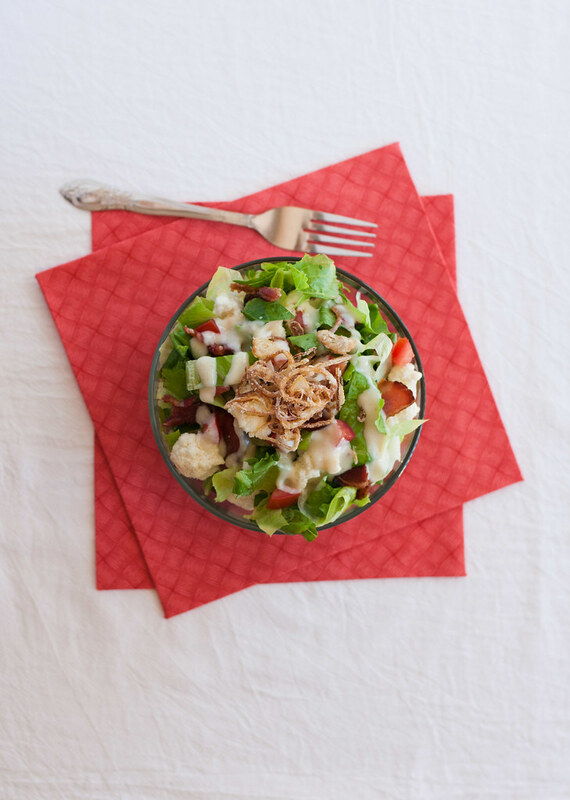 Serve salad topped with fresh tomatoes and crispy shallot “croutons”. The dressing is thick--it will be easier to serve with a spoon or in a squeeze bottle (I did the latter). 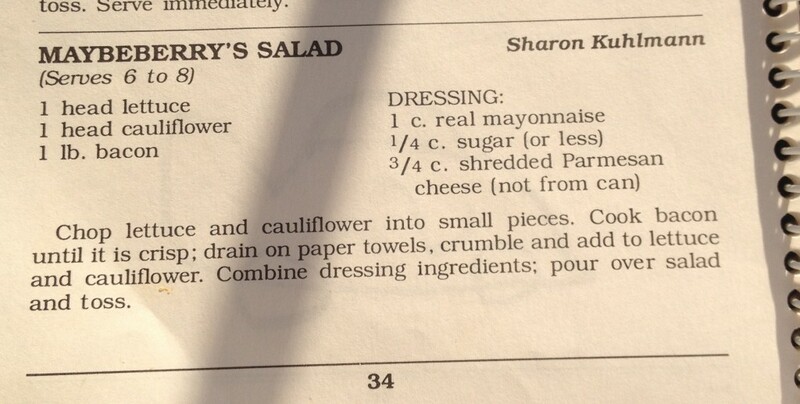 I haven't tested the dressing with reduced fat mayonnaise or Miracle Whip, so I'm not sure how substitutions will work. I strongly recommend using regular old full fat mayonnaise to avoid any weird separation or, worse, curdling. 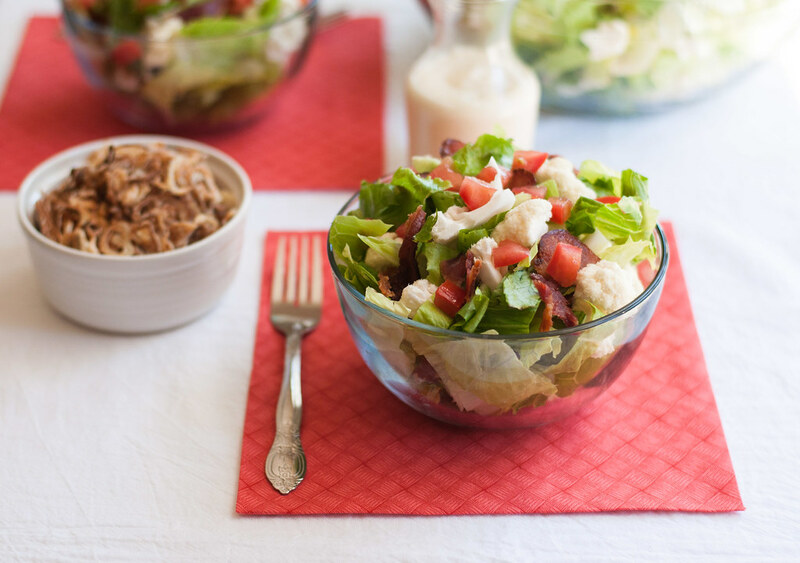 To make the salad meatless, omit the bacon, or substitute coconut bacon, a popular vegan substitute (although the salad, with dressing, will not be vegan). 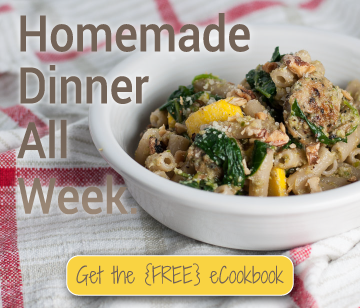 You can find it pre-made at some grocery stores and there are many recipes for it online.